Sarnia, Ontario, Canada, March 23, 2016 — Outdoor enclosure specialist Intertec has launched a new range of explosion proof cabinets to protect field instrumentation operating in hazardous areas. Available in a diverse range of standard sizes, as well as in custom shapes up to walk-in shelter size, the cabinets are certified for use in Zone 1 and Zone 2 hazardous areas. They are ideal for housing forward-placed analyzer equipment in industrial process facilities such as petrochemical/oil refineries and fertilizer production/storage plants, and also provide the possibility to install non-Ex rated analyzers and instrumentation inside Zone 1 or 2 classified environments. Intertec’s pressurized explosion proof (Ex p) cabinets are constructed from GRP (glass reinforced polyester) composite materials. These materials are highly resistant to corrosion and have a similar strength to stainless steel, but are about 75 percent lighter, making them ideal for equipment containment and personnel shelter applications. They are especially suitable when robustness and rigidity need to be combined with low mass – such as on offshore platforms. They are also ideal for areas where there is a need to mitigate injury to personnel or damage to equipment, such as on sites where there is risk of an explosion. GRP composite materials also have a much higher thermal resistance than metal. This simplifies the construction of cabinets that provide excellent insulation, greatly reducing the energy required to heat or cool the equipment. It also makes it easier to build cabinets without any thermally conductive links between their exterior and interior surfaces, thereby avoiding creating cold-spots which can lead to problems with condensation. Intertec is capable of producing single-piece panels of GRP composite as large as 6 x 12 meters. This enables the company to create cabinets of virtually any size. The panels can be chemically bonded to create very tight sealing that prevents the ingress of hazardous gas and reduces the consumption of air, which is used to create the slight positive over-pressure needed for Ex p protection. Any requirement for special air locks to allow unfettered access to equipment inside the cabinet or shelter can be accommodated very easily. 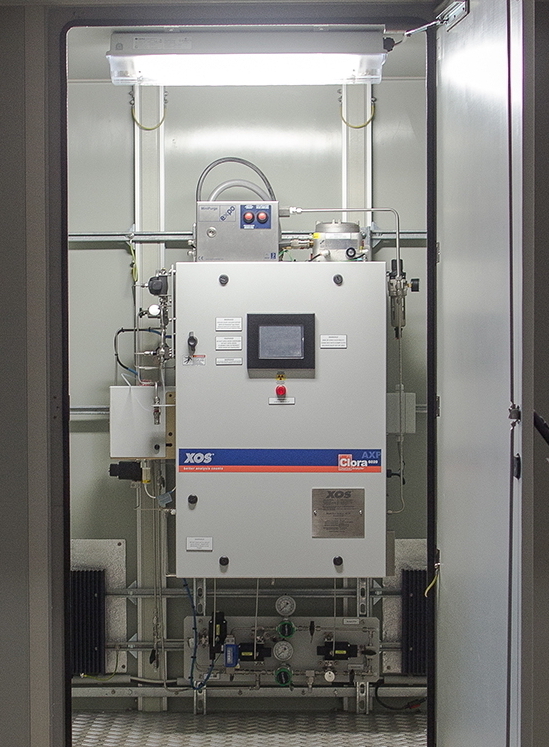 The pressurized cabinets are equipped with a control unit that regulates the flow of inert purging gas or compressed air, and then monitors the pressure inside the cabinet to ensure that it is maintained slightly above atmospheric pressure by automatically compensating for any leakage losses. 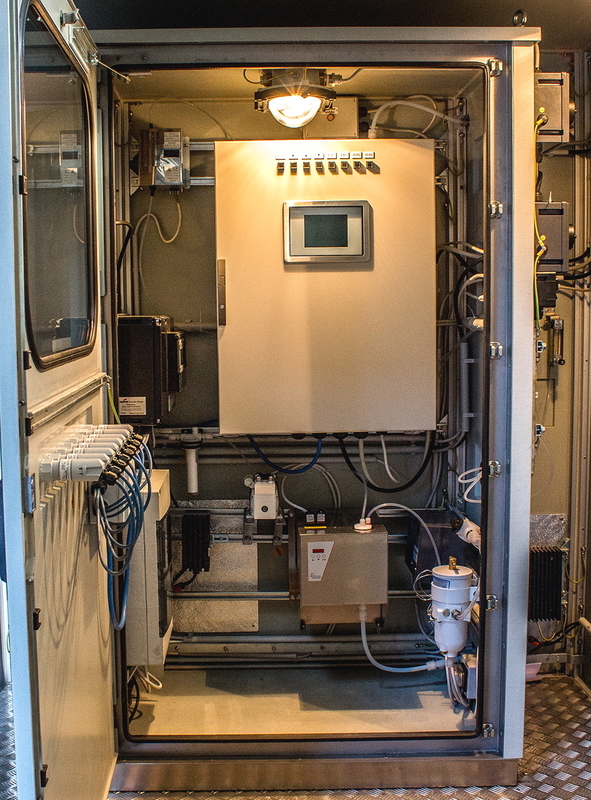 Intertec works with a number of controls manufacturers to equip its Ex p cabinets with the most appropriate type of purging and pressurization systems. 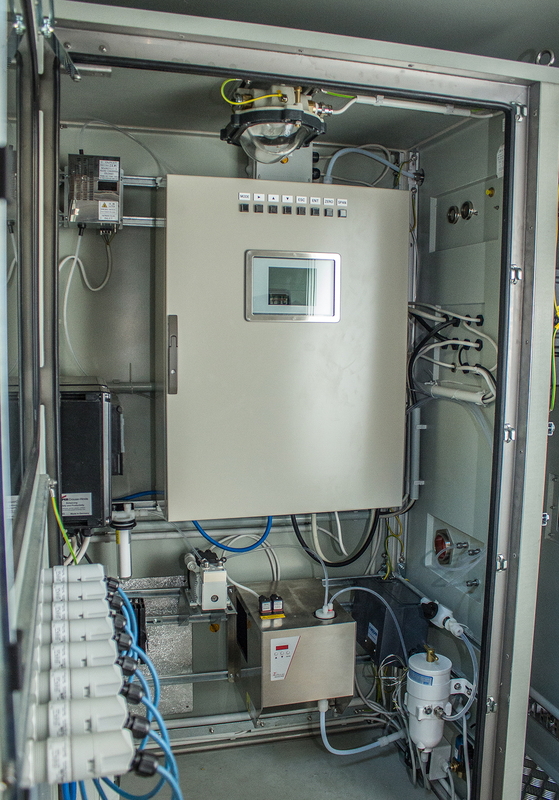 Each partially equipped enclosure is then tested by Intertec at one of its manufacturing plants, before being delivered to the system integrator for installation of the analyzer instrumentation. Final safety testing of the complete unit is carried out at the integrator’s facility, prior to its installation at the customer’s site. Intertec is certified by various competent bodies – including PTB (Physikalisch-Technische Bundesanstalt) – to perform the necessary compliance testing. Intertec Instrumentation Ltd, 255 Henry Drive, Sarnia, Ontario N7T 7H5, Canada. Intertec's new Ex p explosion proof cabinets simplify the deployment of analyzers in hazardous areas of process plants.